There might be two reasons why the Task List template is not available in the Templates dialog box. 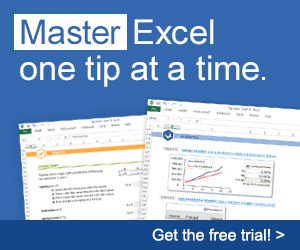 You might be working with Microsoft Excel 2000 or earlier. For these versions, the template is stored in a different location. In Excel, click File, New. Click the 1033 or Spreadsheet solutions tab. Double-click Microsoft Project Task List Import Template. If you still can't find it, click File, Open. Browse to the Office template directory, which is typically \Program Files\Microsoft Office\Templates\1033. In the Files Of Type list, click Templates. Double-click the Tasklist.xlt file. The other reason why you might not see the Task List template is that the computer you're working on might not have Microsoft Project installed on it. The Task List template is installed with Microsoft Project. If you have Microsoft Excel installed on the same computer as Microsoft Project, those templates then become available in Excel. On a computer running Microsoft Project and Excel, use Windows Explorer to find the template file. Its typical location is \Program Files\Microsoft Office\Templates\1033. Copy the file to a disk or network location so you can make it available for use on other computers. 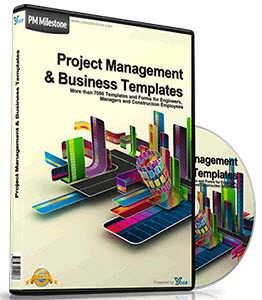 This is particularly useful when you want to provide the template to various team members and other stakeholders to use Excel to build parts of the project plan. In Microsoft Project, open the project plan into which you want to import the Excel task list. On the Standard toolbar, click Open. In the Open dialog box, browse to the location on your computer or network where the Excel task list is saved. In the Files Of Type list, click Microsoft Excel Workbooks (*.xls). The task list workbook appears in the list of folders and files. Click the task list workbook and then click Open. The Import Wizard appears. On the Welcome page of the Import Wizard, click Next. On the Data Type page, click Project Excel Template and then click Next. On the Import Mode page, specify whether you want to import the file as a new project, append the tasks to the currently active project, or merge the data into the active project. Click Finish. The tasks are imported into Microsoft Project as you specified (see Figure 17-18). Figure 17-18. Task information from the Excel template is imported into Microsoft Project. If you scroll to the right, you see that the resources have all been placed in the proper column, but the Predecessors column is empty. The imported tasks still need to be organized, outlined, and linked. For more information about inserting and organizing tasks, see Chapter 3, "Starting a New Project."